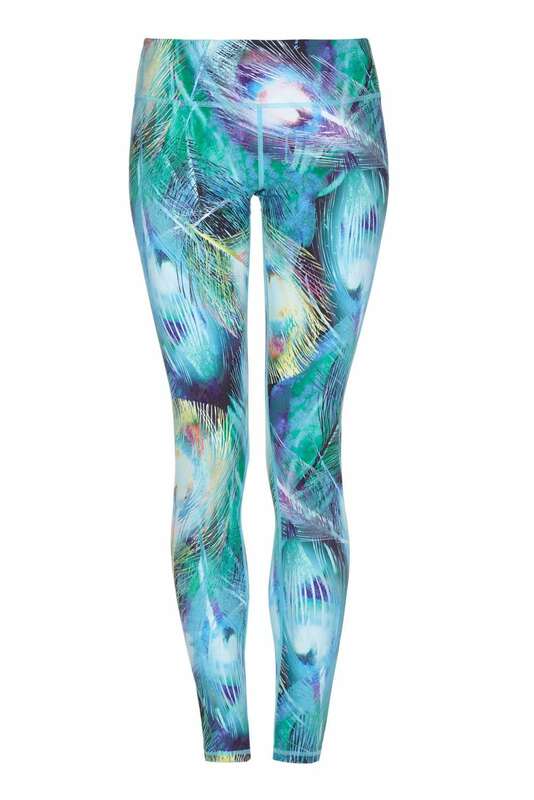 Yogaleggs Pretty Peacock yoga pants are functional and on-trend funky fitness leggings. Made of high quality, breathable, moisture-wicking, antibacterial fabric with compression components designed to keep you cool and dry throughout your workout and perfect to take you from day to night. These leggings are perfect. Love the design, very comfy and pass the see through test with flying colours Tempted to order another pair! !